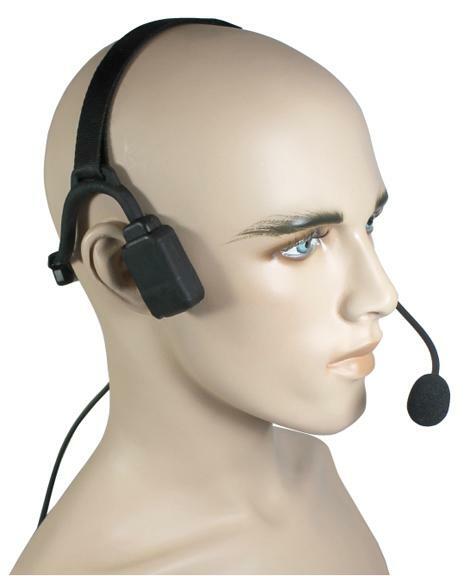 The NBP-BH wrap-around headset features dual speakers that transmit audio directly into the user's skull, using advanced bone conduction technology. Since the dual speakers do not block the user's ears, the NBP-BH allows the user to hear both incoming radio calls and what is going on around them (situational awareness). Also the NBP-BH Mic is noise cancelling and mounted on an Adjustable Flex Boom to place the Mic where you need it. 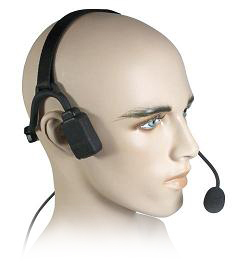 Adjustable wrap-around style headset secures behind the user's head. 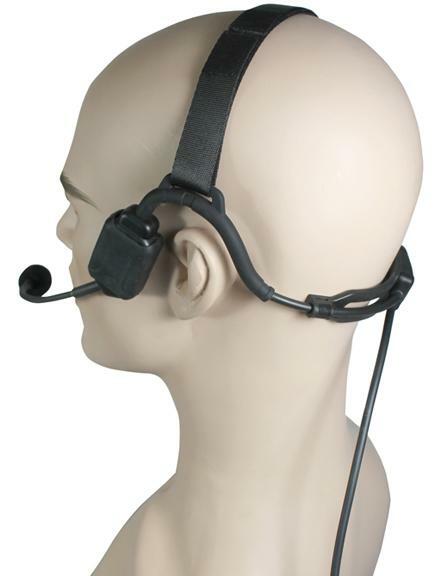 Over-the-head, adjustable strap holds headset firmly in-place. Uses PRYME's upgradable tactical PTT system (multiple PTT switches including Hockey Puck, Large Hockey Puck and belt mounted Junction Box). Unique Bone Conduction speakers leave the user's ears uncovered so that the user can hear both incoming radio transmissions and the sounds going on around them. Sound is transported directly to the inner ear through vibration of the mandible (jaw bone). Noise cancelling, Adjustable Boom, Microphone reduces ambient background noise.